The Next Generation of Live GPS Tracking Devices for 2007! With Massive Options So You Can Have It Your Way! The new generation Ultra Advanced WorldTracker is a completely self-contained GPS Tracking device small enough to fit in the palm of your hand. When placed with vehicles, packages or people, the Ultra Advanced WorldTracker provides a whole new level of security and peace of mind. By utilizing the global GSM/SMS text messaging network, the Tri-Band Ultra Advanced WorldTracker provides global real-time tracking capabilities. With the unlimited service plan ($59.95 per month) you can use your Ultra Advanced WorldTracker 24/7 and never worry about service charges. Unlimited service allows your Ultra Advanced WorldTracker to report as frequently as possible, providing you with the highest quality and most accurate tracking data. Do not be confused by cheap low-end look-likes in the market place that don't work they want you need them to! If you want the latest and most advanced GPS system, this is it! You can actually get unlimited tracking reports on your desktop or cell phone every 15 seconds. It's so advanced, you can actually set and watch the vehicle move down the road on screen. Not only that, you will have your choice of mapping reports or satellite photo images reports. With google mapping, you can also produce flyer-overs! The Super Tiny Slap-N-Track Magnetic Mount Box is very easy to use! 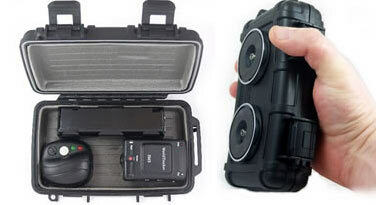 Place the GPS unit inside the box and close the water-tight lid. Then simply slap it on a vehicle and you are tracking! In a few seconds and you slap-n-track any vehicle! Up to one full month of unattended automatic, historical, and "on demand" GPS real time tracking now possible with our waterproof, motion activated, magnetic mount "hibernator" case. At only 6 1/2 x 4 x 1 3/4 inches, the unit operates on 8 "AA" standard alkaline batteries. Battery life can be maximized by using lithium batteries. After 5 minutes of inactivity, case automatically shuts down, saving battery power and cellular costs until the vehicle begins moving again. What is the SiRF Star III, and why is it so important? Well, the SiRF Star III chipset is a pretty big innovation in the GPS world, as it has dramatically better performance obtaining a GPS satellite lock and getting you a location, fast. The Ultra Advanced WorldTracker with SiRF Star III technology provides faster fix times, better sensitivity, and longer battery life than any other GPS Tracking System. When turned on, the Ultra Advanced WorldTracker needs to figure out where it is by connecting the GPS satellites and triangulating an exact location to within 3 meters. 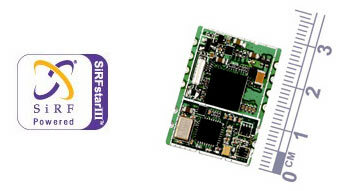 The SiRF star III chipset is better at holding a signal in low signal areas such as traveling in a downtown area where there are a lot of sky scrapers or under dense tree cover. The chipset can track signals down to -159 dBm, and has 200,000 correlators, and most other chipsets have only a few thousand. The SiRF star III chipset is also very efficient, which means low power draw and longer battery life. Using an external battery case, you can extended the life of the Ultra Advanced WorldTracker by as much as 30 days. Users can view and print out reports containing street addresses, set reporting options, create geo-fences, and much more. Using the latest technology available from Google and Microsoft, our mapping goes down to street level, you can see cars, buses and the exact physical location where your vehicle is. Users can instantly switch to a variety of mapping. • Google Earth featuring 3D animation and driving report playback. The ultra advanced system's latest service enables users to monitor their tracker location update using any Mobile Internet enabled Cell Phone. 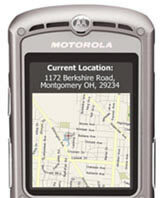 The phone displays a full graphical map with the trackers current location highlighted. These maps are fully zoomable and you can go right down to street level. The phone will also provide the nearest physically address. • Compatible with all cellular providers including Cingular, Verizon, T-mobile, Sprint and more. 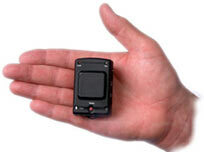 • Self contained device fits in the palm of your hand. No external antennae needed, just plug-&-play. • Durable, lightweight, water-resistant housing. • Geofence feature sends alert if the target moves from pre-defined area. • Parking and Anti-theft Function, notifies you if vehicle moves from parked location. 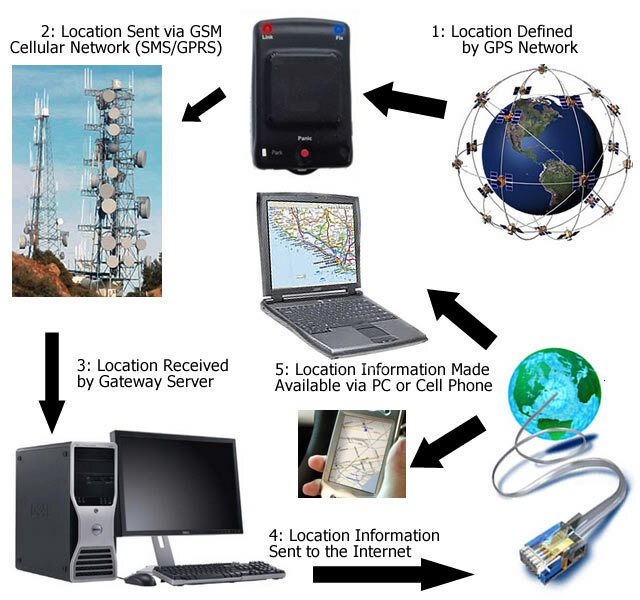 • GPS assist function using GSM network, boosting location sensitivity when GPS signal is temporarily lost. • Enhanced sensitivity for indoor and outdoor reporting. • Tri-band GSM 900/1800/1900 MHz for worldwide coverage. • 12 volt DC adapter connects to vehicle power. • Can be hooked up to 12 volt DC for permanent hardwire connection. • Can be accessed and programmed via SMS messages sent from any cell phone. • Emergency location alerts can be sent to multiple cell phone. tracking functions you need the most and have it your way! It's time to step up to the new generation Ultra Advanced World Tracker GPS system so you will maintain your competitive edge when it comes to state-of-the-art GPS tracking! We know you will love using these advanced units and they are being offered for a very limited time at discount pricing so get your ultra advanced advantage today! 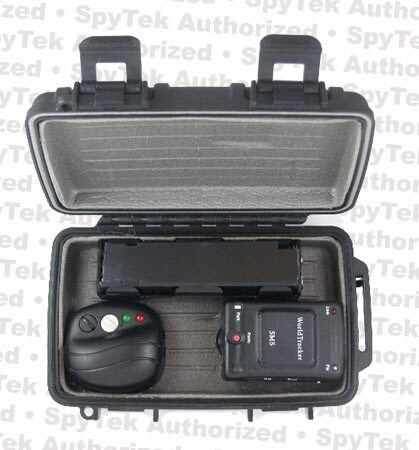 Ultra Advanced World Tracker GPS System With Tiny Slap-N-Track Magnetic Mount Box! And UTrack, Inc. All rights reserved. That Notify Us Of Any Copyright Violation Online.